Over the last couple days my family has come together to be my grandma’s side in what could be her final few days. She has been one of the strongest members in our family and I’ve been thinking about just how much she has impacted my life — which is a lot. She’s smart, hard-working, and the strongest woman I’ve ever met. She never pities herself, judges, or puts blame on others, which are traits that I strive for. She’s also been the best example for me financially. She was actually the first person to explain credit card interest rates to me and encouraged me to cut up my first maxed-out credit card. I could go on and on about some of the lessons that have stuck with me but these three are by far the biggest. My grandma was never happy working for someone else. But, to be honest she hardly gave that a fair shot. She got a job in a factory right out of high school and immediately decided that wasn’t the life for her. She didn’t go to college or have any desire to. She wanted her own business. Over the past 50 years she has started several businesses. She’s owned toy stores, a retail flower shop, a wholesale greenhouse, and two department stores. A lot of these businesses have even been passed among the family. When my grandma decided to make her long-established department store her sole focus, she sold a greenhouse to my dad and aunt. And, she’s helped both of them individually start their own. She also recently bought another department store in a neighboring town as a venture for her, her husband, my aunt, and my dad. She’s always put in hard work, coming to work nearly every single day and being involved in almost every decision. She knows when to play and she knows when it’s time for business — even if that isn’t always fun. I think her entrepreneurial spirit has been passed down to me. I’m always scheming up new ideas for businesses I can start. I have tried several and have seen success in only a couple. I just hope that one day I can become as successful as her. 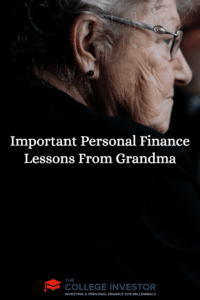 If there is one thing I’ve learned about finances from my grandma it is to have the right types of insurance. Life insurance, health insurance, adequate homeowners, and auto insurance. As a woman owning multiple businesses and rental properties, she never took insurance lightly. In the beginning days when I was helping her with her books I was blown away by the amount of money she paid in insurance. At first it seemed like such a waste of money to me. And then I got a job as an insurance agent. This totally changed my views on insurance. I saw the worst — filing claims for people every single day. When someone would come in the office and ask for state minimum limits, it almost made me cringe. I then understood the importance of being adequately insured, which is so important if you have any assets. I’ve seen her use most of her insurance policies at some point. Insurance is not something you should gamble on. At one point or another there will be a time you use it. It’s far better to be slightly overinsured than it is to be underinsured. My grandma loved to have fun. She’d take trips all over the country each and every year. One of her favorite spots happened to be Vegas. She’d also host a weekly family dinner and special dinners for every occasion. If she wasn’t working she was out seeing new sights or just enjoying family. That didn’t mean she spent all her money though. She knew the importance of saving and investing. She had built up multiple sources of income in businesses, rental properties, and investments. She worked hard to build a solid financial foundation that allowed her to live the life she wanted to without having to worry about where money was going to come from. Investing doesn’t just mean buying stocks and bonds. You can invest and build a business you love or rental properties that bring in a semi-passive income each month. You shouldn’t just limit yourself to one income source. Diversify according to your own needs and wants. There are many lessons I’ve taken away from her. But the most important is that family always comes first. Money and career are nothing if you don’t have a family there to enjoy it with you. Friends may come and go but your family will always be your family. Take the time to build strong relationships with family members, work hard, and enjoy each day. 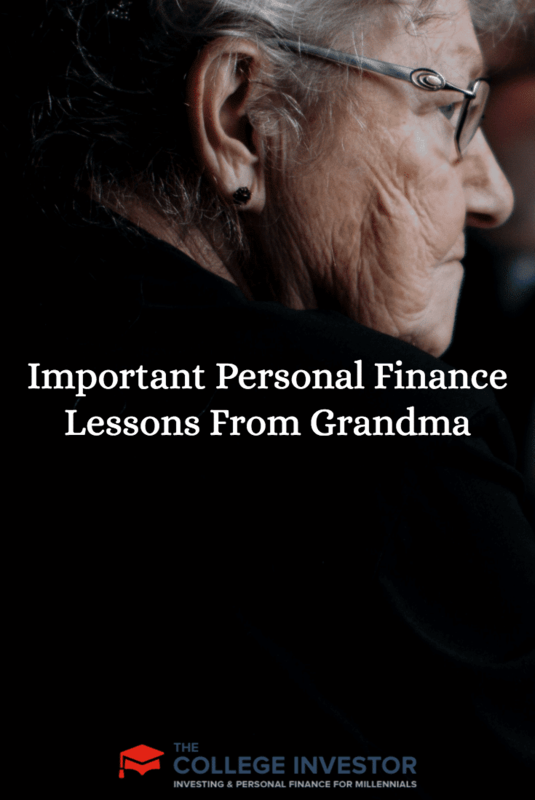 What financial lessons have you learned from your family? You have a really cool grandma! Those are awesome lessons!